Something Clever offers a variety of integrated marketing services to help tell your story in print and online. 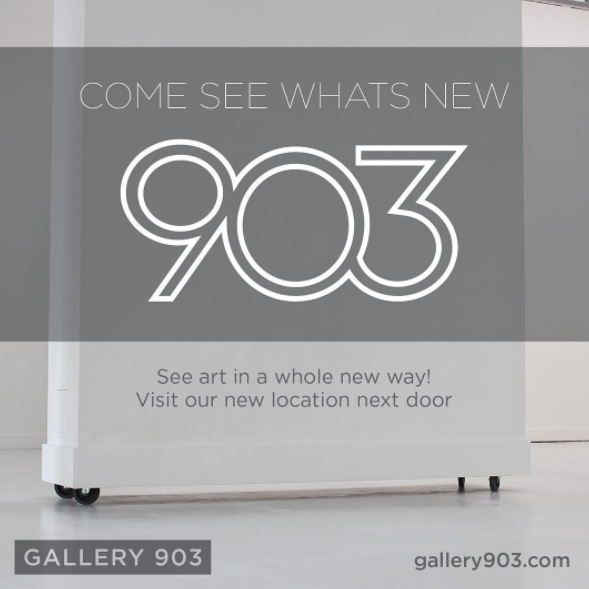 In 2016, after five wonderful years, the owners of Gallery 903 decided it was time for a rebrand. 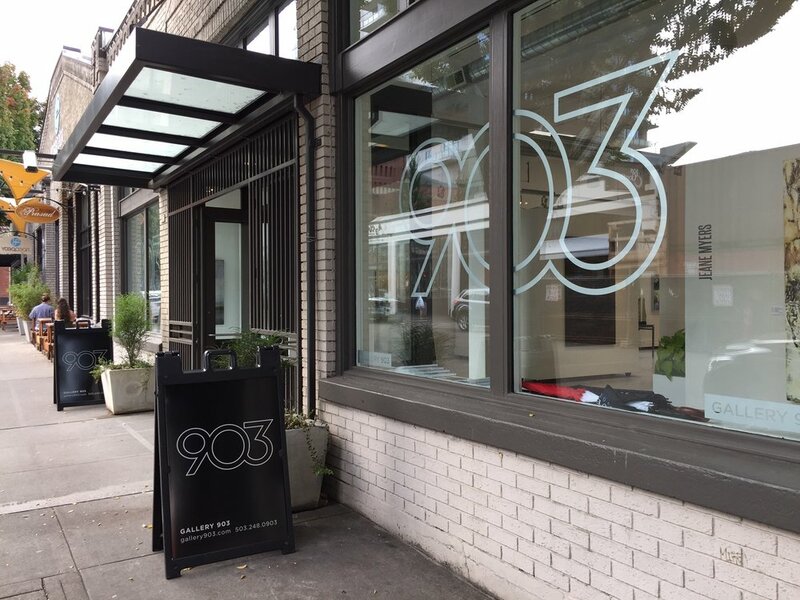 Along with the striking new location, Gallery 903 hired Something Clever to redesign their mark and brand to fit the new, more modern location. THROUGHOUT THE PROCESS SOMETHING CLEVER WORKED CLOSELY WITH BOTH OWNERS TO HONE IN ON THE LOOK AND FEEL THAT THEY WANTED THEIR NEW SPACE TO PROJECT. WE OPTED FOR A MORE MINIMALIST LOOK CREATING A SLEEK NEW LOOK THAT WORKED WITH BOTH MODERN AND TRADITIONAL ART WORKS. PRior color ways featuring creams and tawny browns were replaced with variations of gray. The final mark gave the gallery multiple options for its use WITHIN THeir brand environment. THE MAIN MARK is outlined, accentuating the flow of the logo while retaining a light feel. NIKE NORTH AMERICA RETAIL WAS LOOKING TO REVIVE AND REBRAND THEIR EMPLOYEE MAGAZINE. SOMETHING CLEVER CREATIVE SERVICES WORKED IN TANDEM WITH NIKE TO CONSOLIDATE AN OUTDATED QUARTERLY PUBLICATION AND CREATE AN NEW 40-PAGE YEARLY MAGAZINE CONCEPT. THE AUDIENCE WAS YOUNG NIKE RETAIL EMPLOYEES AND A FEELING OF YOUTHFULNESS WAS IMPERATIVE. THAT, COMBINED WITH THE MAGAZINE SWITCHING FROM QUARTERLY TO YEARLY PUBLISHING, LED SOMETHING CLEVER TO PROPOSE A YEARBOOK STYLE CONCEPT. WHEN I ARRIVED AT NIKE IN THE CORE PERFORMANCE GROUP, OUR SEASONAL MARKETING MEETINGS FEATURED POWERPOINT PRESENTATIONS TO INTRODUCE NEW PRODUCT. IN ORDER TO HELP THE MESSAGE TRAVEL MORE EFFICIENTLY, I PROPOSED A BOOKLET AS A SUPPLEMENTARY DELIVERY METHOD. The booklets were A PORTABLE, brand-centric tool for MARKETing NIKE PRODUCTS TO RETAILERS ACROSS THE GLOBE. EACH SEASON I COLLABORATED WITH THE MARKETING DIRECTOR AND PRODUCT LINE MANAGERS TO CHOOSE A SEASONAL THEME AND HONED THE FOCUS OF EACH PRODUCT PAGE TO PROPERLY REFLECT THE TARGET CONSUMER. with that in mind i would then meet with our creative director to learn the design department's approach to each season. those ideas were then married together.